One of my favorite summer activities is going to the movies. On the really hot days I like to go to a cool, dark theater to see a film, eat some movie theater popcorn, and give my air conditioner at home a break. (The heat is not my friend.) I recently read the summer movie previews in Entertainment Weekly’s April 17/25, 2015 issue, and there are so many choices. 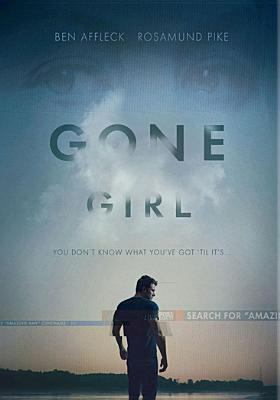 For the blog I decided to write about which movies I’m looking forward to this summer–some are in theaters now!–and the films and soundtracks available now through the library to watch before opening night at the cinema. While I find the song “Cups” annoying, and the projectile vomit scenes are definitely gross, I adore Pitch Perfect and plan to see Pitch Perfect 2 soon. The first film follows the Barden Bellas, a college a cappella singing group that needs to change their repertoire to win nationals. New member Beca (Anna Kendrick) clashes with Aubrey (Anna Camp), a veteran Bella who doesn’t want to change the old formula. Rebel Wilson as Fat Amy is a scene-stealer, and the music, mostly covers and mashups of pop songs, is great (aside from “Cups”). 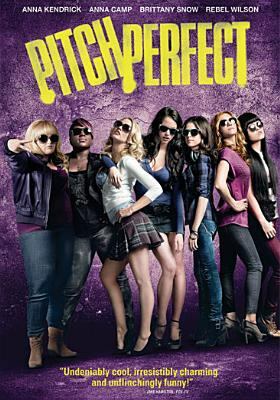 Pitch Perfect is available to borrow (on DVD and BluRay), as are the soundtracks, including the Pitch Perfect 2 album, so you can preview the music. Hoopla users can also stream the soundtracks. Yup, this is a remake of the classic original I’ve watched many times. But I love a good ghost story (no zombies, werewolves, or vampires for me, please) and this one is a particular favorite. In the original Poltergeist, the Freeling family moves into an idyllic suburban home that was built on a cemetery. The spirits of the deceased buried there make their presence known, first with seemingly harmless ghostly antics like moving around kitchen chairs, then by terrorizing the family and kidnapping Carol-Anne, the youngest child. I saw the original Poltergeist at Cinerama in Seattle two days before Halloween a few years ago, which spooked me so much I slept with the lights on in my hotel room that night. 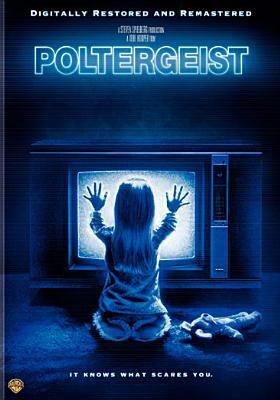 The original Poltergeist is available on DVD and BluRay, along with the sequels Poltergeist II and Poltergeist III. The film’s soundtrack is on Hoopla to stream. According to the Entertainment Weekly article, Jurassic World (in theaters June 12) is set in the park John Hammond created in the first film, and one of the dinosaur attractions goes rogue and causes problems for the humans. Remember the scene in the original where Hammond’s grandkids fought off the T-rex while trapped in an SUV? There will be a similar situation in Jurassic World. All three films–Jurassic Park, The Lost World, and Jurassic Park III–are available to borrow individually, and in one set on DVD and BluRay. 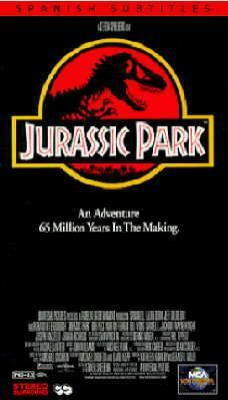 The soundtracks to the Jurassic Park trilogy are on Hoopla. Did the world need a sequel to Magic Mike? Maybe not, since I think the first movie had a solid ending. But will the world see Magic Mike XXL (in theaters July 1) to ogle at Channing Tatum, Matt Bomer, and Joe Manganiello? Yes. Sadly, Matthew McConaughey is not part of the sequel, but legendary New York Giant (#92!) and daytime TV co-host Michael Strahan has a role. Catch up on Magic Mike, available on DVD or BluRay to whet your appetite for Magic Mike XXL. The Magic Mike soundtrack is also on Hoopla. Tangent: I am sincerely happy that Ginuwine is reaching a new audience since “Pony” has become the de facto theme song on these films. What summer movies are you excited about?